While I was at Ikea over the weekend, I noticed an adorable duvet cover on sale. It was only $12.99 (and actually included a blue sheet and striped pillowcase as well). 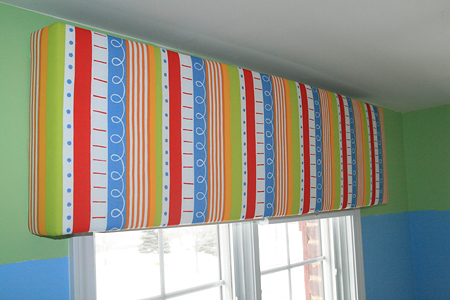 I thought that would be the perfect bright, fun fabric for his windows. 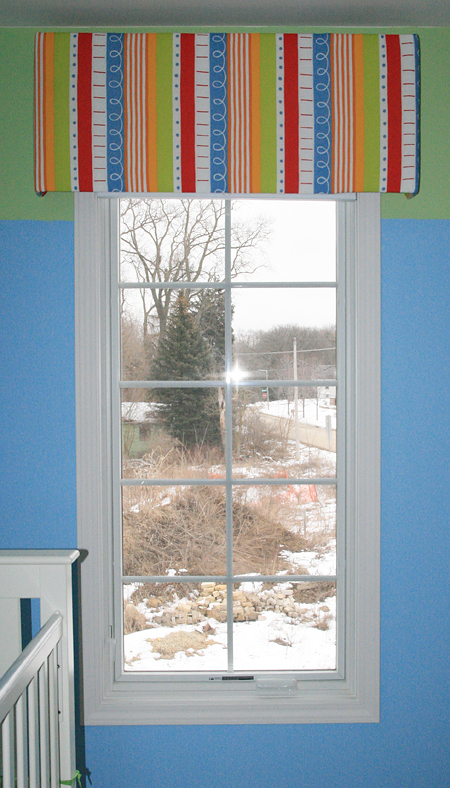 Initially I thought maybe I would use them and do drapes, but that's a bold print for that much fabric down the wall. 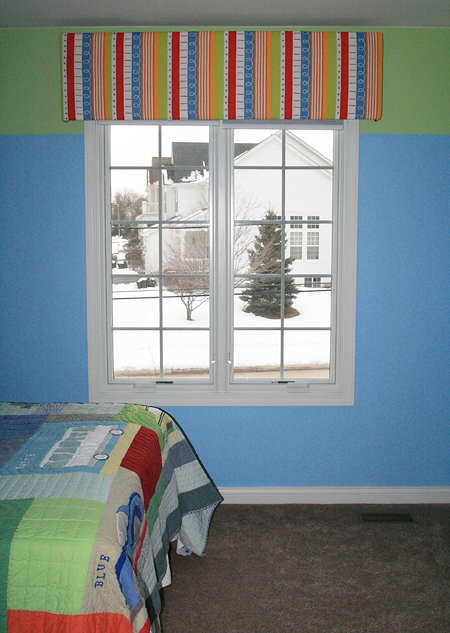 Then I remembered these adorable pelmet boxes on Flickr. They were a bit girly for my son's room, but I thought rectangle ones would be perfect. (Directions here) One trip to JoAnns and a few hours later and the windows were done! I just LOVE how they turned out. We still need to add the white molding on the wall between the green and blue paint, but we are getting there. I would recommend you plan a way to hang them before making them. That part is left out of the directions and my husband had to fashion a triangular box to attach to the part to mount some hanging hardware. It's definitely not professional. But hopefully we figure something better out for next time, because I'm thinking these would look great in our bedroom and bathroom as well.